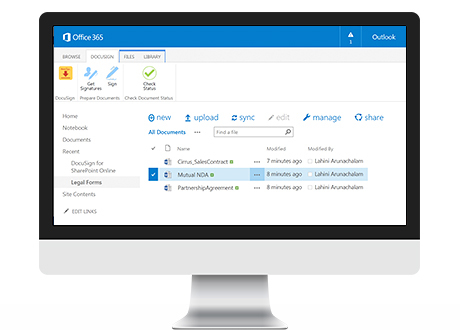 DocuSign for SharePoint Online enables organizations of any size to securely send, sign, and track important documents from any SharePoint Online document library — anytime, anywhere, across any device. 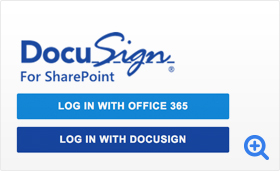 Sign and send out documents for electronic signature using DocuSign for SharePoint Online. 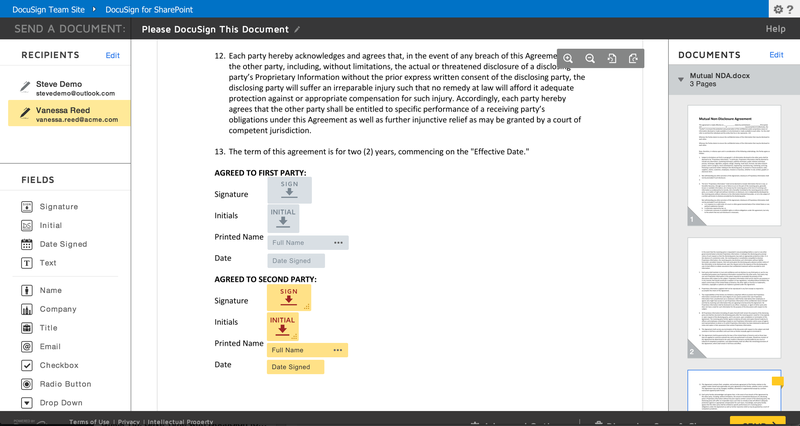 Documents in the SharePoint Online library can be easily sent, signed, and managed by selecting the DocuSign tab in the ribbon bar. 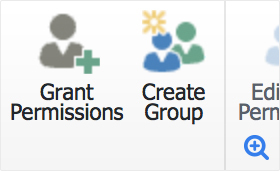 You can easily automate existing business processes and workflows. 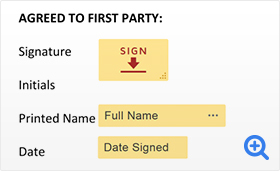 Easily select documents in the SharePoint library for signing or sending, and use DocuSign to specify signing workflow to route your document to the right people in the order you choose. 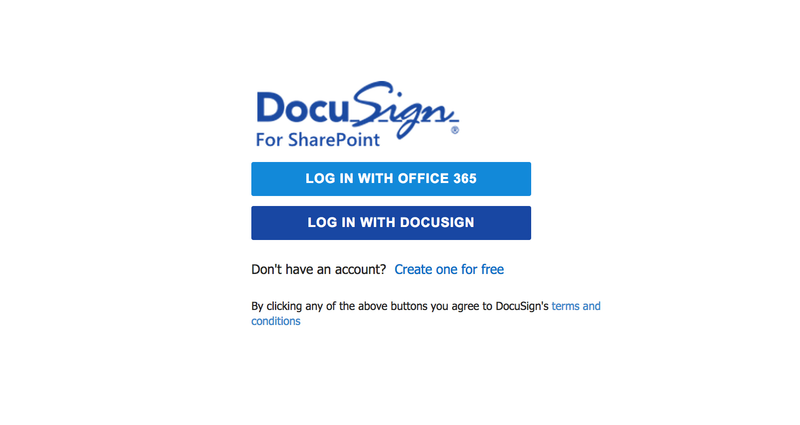 Use your existing company credentials to sign into DocuSign without leaving SharePoint or create a new DocuSign account using your Office 365 credentials. 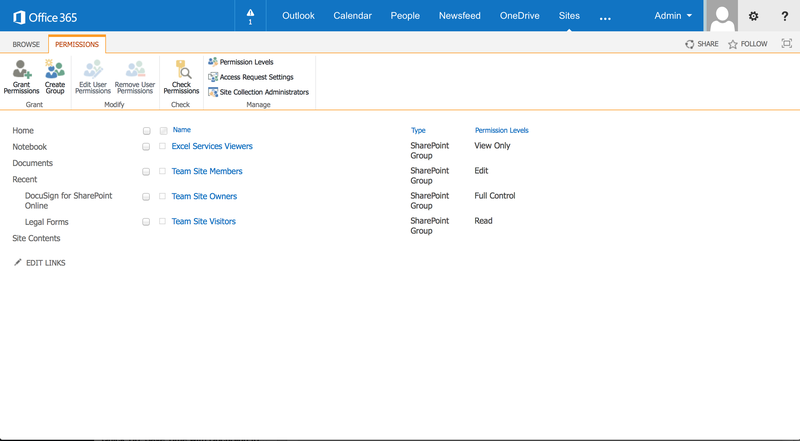 Accounts are automatically linked using single sign-on capabilities powered by Azure Active Directory. Easily manage administrative controls with DocuSign for SharePoint Online. Grant access, manage users, ensure compliance and maintain a centralized and secure location for all DocuSigned documents across your organization. 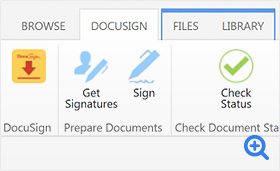 DocuSign for SharePoint is designed to work with SharePoint Online and SharePoint 2013.